Victor Conte, the sports nutritionist behind one of the biggest doping scandals ever to hit sport, says he deeply regrets getting Dwain Chambers involved and that the sprinter deserves his second chance. Conte, who served a prison term following a federal investigation into his designer steroid business, believes Chambers is a reformed man who has been punished enough for his misdemeanours. Conte's San Fransisco Laboratory created the steroid tetrahydrogestrinone - known as THG - which turned up in urine samples given by Chambers in 2003. The Balco scandal named after the Bay Area Laboratory Cooperative which produced the steroids, rocked sport after it was revealed the laboratory tried to tweak THG to make it undetectable to dope tests. British sprinter Chambers is waiting for the outcome next week of a case at the Court of Arbitration for Sport (Cas) that will determine whether or not he is able to compete at the London Olympics. Under the British Olympic Association's by-law he is excluded from competing for Great Britain at future Olympics because of his drug offence. He was banned for his role in the Balco scandal and has since returned to competition. 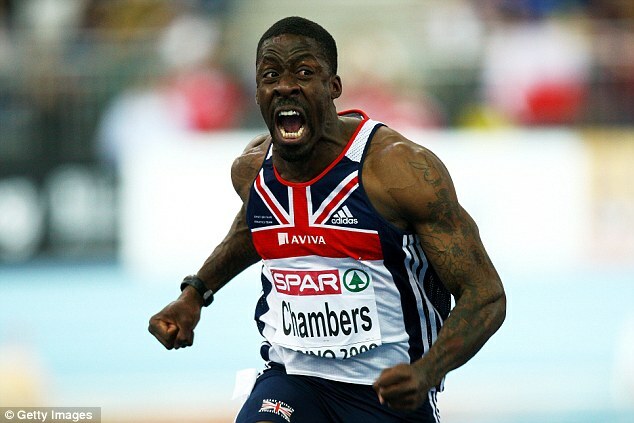 Although well off the pace of the world's top sprinters, he remains one of Britain's best over 100m. He is expected to feature in at least the sprint relays in London if the BOA loses its case against the World Anti-Doping Agency (Wada), which says the BOA's by-law goes beyond the sanctions for drugs offences agreed under the Wada code. The Balco scandal also involved high-profile United States athletes such as Marion Jones, Tim Montgomery and Kelli White.